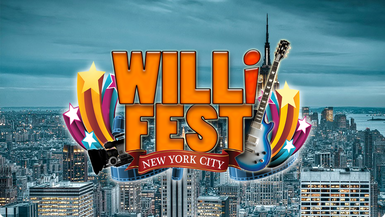 TRavel with T_Ruck - Tim Rerucha, Host of 2018's WILLiFEST 10th Anniversary opening party. Join the sordid cast with Victoria Cheri Bennett, Onique Bourne, Sparda Deleon, Ashley North, Phil Valy, Producer Robin C. Adams, KaliWind, Horriblyright's Steven Riccio and Jaime Ileana, Lauren Atkins, Tylon Washington and others. Airs in February on Live It Up with Donna Drake on CBS NY and Boston, and Footprint Network. DP/Cameraman, Mr. Children Syuji Honda. Associate Producer, Venetria Nya Benitez, Photographer, Dannieka Cuttino.